What Happens When Your Hair Is Under-processed? 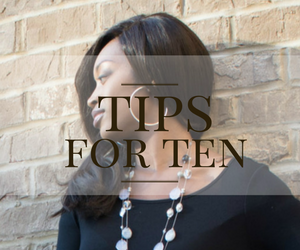 Most of the time when new clients come to me for the first time, they complain about one of the problems with their relaxed hair is that it is over-processed which causes damage. 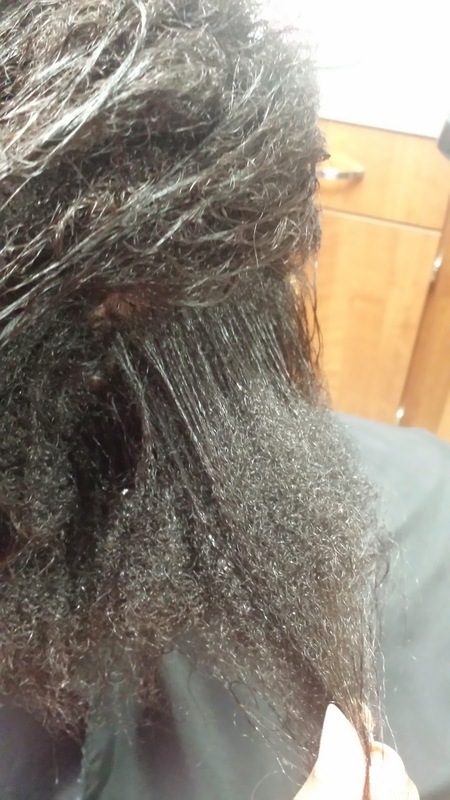 Well, what happens when your hair is actually under-processed? 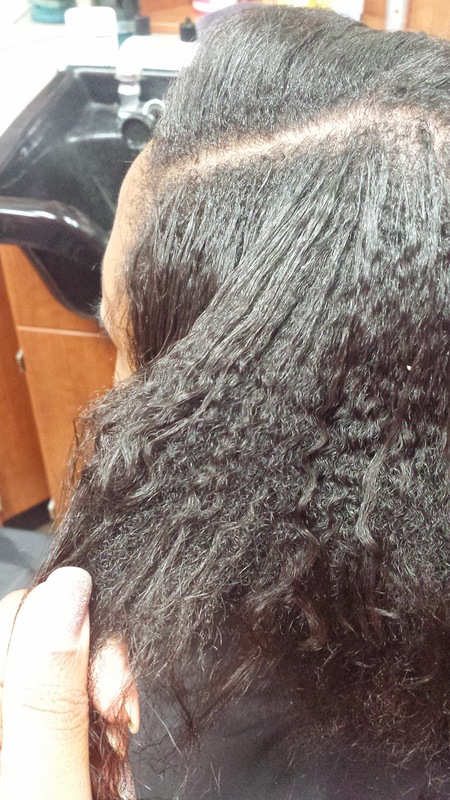 This client had been wearing sew-ins for an entire year, so when it was time for her to get a relaxer she had just taken her last sew-in down. 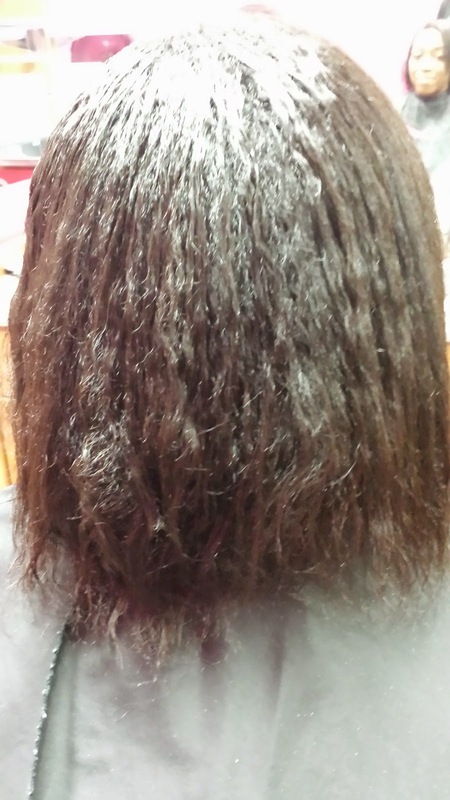 Her hair was crinkly from root to tip from taking down the braids. She told her hairstylist that she needed a touch up so her hairstylist did just that and only relaxed the roots. Unfortunately since her hair was wavy from root to tip, it was hard for her hairstylist to know exactly where the new growth stopped. 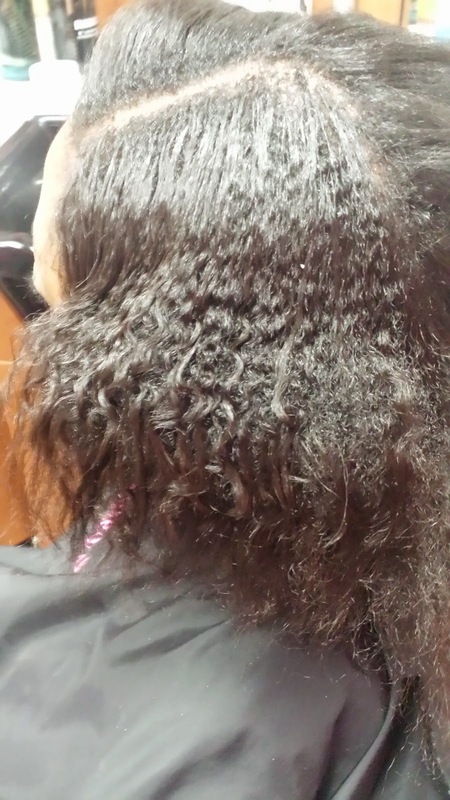 And she apparently did not think to ask how long the client had been getting sew-ins because if she did she would know that in one year the client would have had at least four to six inches of new growth and that she would have needed to process more than just the roots. As a result, this is what the client's hair now looks like. It is straight at the root, natural in the middle, and straight on the ends and she absolutely hates it. So what is the solution?? Since the hair in the middle has never been relaxed I will be relaxing that part only. 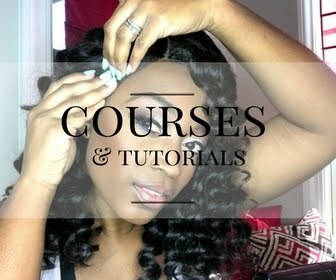 To tell where to start and stop she will wet her hair one day prior to coming and allow the hair to air dry. Once it dries I will clearly be able to tell where the unprocessed hair is and I will relax that part only. For the root area she will wait the normal recommended sixteen weeks. This was not the hairstylists's fault, and not really the client's either. 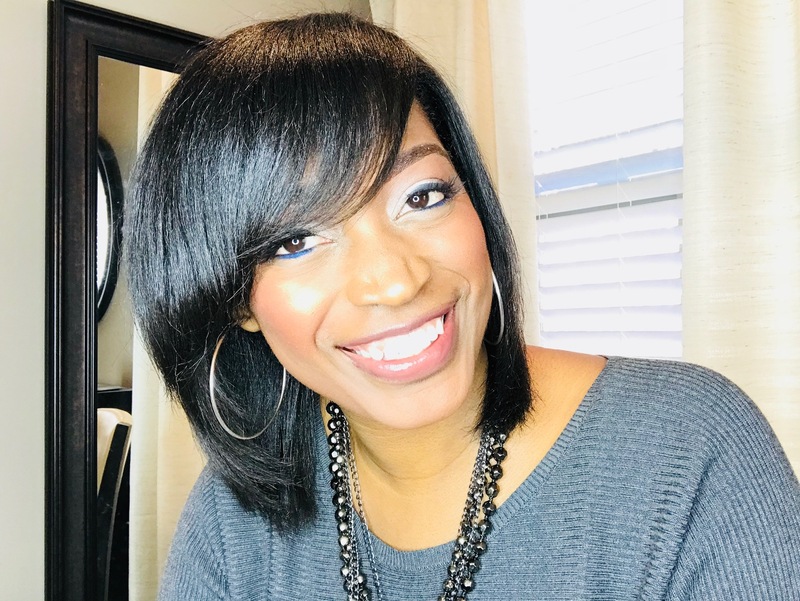 The hairstylist did what she thought the client needed but could have asked a few questions to be clear and the client could have mentioned she had her sew-ins for as long as she did also. It was simply a lack of communication and a lesson learned for both parties. Luckily no hair was damaged and it is an easy fix. 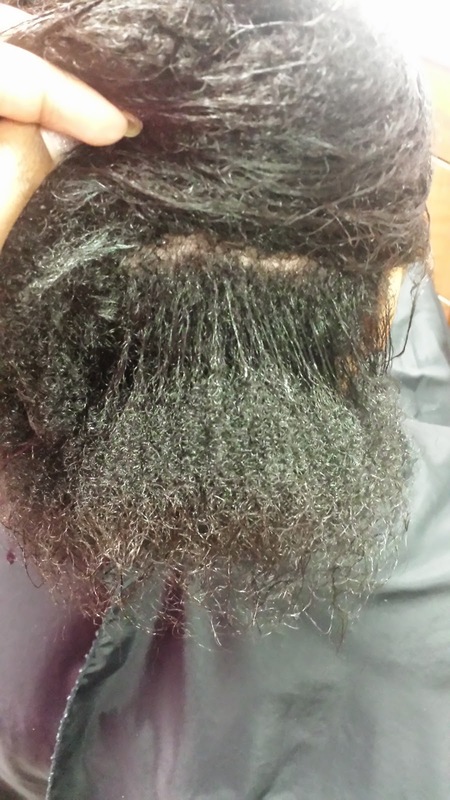 I have since relaxed the unrelaxed hair and here is a new pic of what it looks like when dried under a hair dryer. Now the hair is back to normal with only unprocessed hair being at the root! 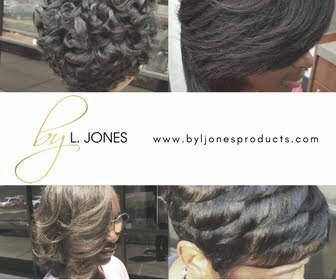 My stylist applied the relaxer to the under processed areas about the last 5 mins of my regular touch up and that worked great for my hair.